Holidays such as Christmas and Chanukah are about many things — religious beliefs, longstanding traditions, family, and friends, to name a few. 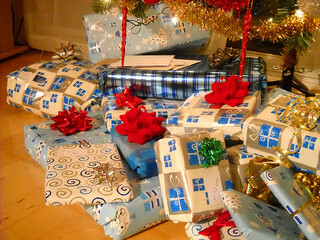 For kids, no matter how hard adults try to teach otherwise, these holidays are often about one thing – presents! As parents, aunts, uncles, and dear friends, we find there are few pleasures as sweet as watching a child’s joy when s/he opens just the right gift. The right toy can brighten a child’s entire face. And the wrong toy…to our Northern California child injury law firm the wrong toy is not the one that doesn’t match the child’s list but rather the one that results in a toy-related injury, a problem that is far too common this time of year. Earlier this month, CNN reported on a study in the journal Clinical Pediatrics abstract that found toy-related injuries increased 40% in the U.S. between 1990 and 2011. There were over 3 million kids treated in emergency rooms for toy-related injuries throughout the time span with the rate of injury rising from 18.88 per 10,000 children in 1990 to 26.42 in 2011. Dr. Gary Smith, lead researcher and Director of the Center for Injury Research and Policy at Nationwide Children’s Hospital, suggests these numbers underestimate the problem of toy injuries. The study included hospital emergency room visits but not injuries treated in urgent care centers and doctors offices in addition to those who did not seek treatment. The study also left out toy-related deaths. What are the most common injuries and who is impacted? Just over half of toy-related injuries surveyed involved kids under age six. For children under age three, choking hazards are the top concern. For children under age five, indoor toys are usually to blame. For older kids, scooters are a leading source of toy-related injuries and Dr. Smith recommends the use of helmets and emphasizes adult supervision for riders under eight years of age. The U.S. Public Interest Research Group also conducts a yearly survey of toy safety. In 2014, their survey revealed many choking hazards and five toys that contained toxins in excess of federal standard including a play sheriff’s set with unsafe levels of lead and a tambourine marketed to young children that contained nearly ten times the legal limit of chromium. In addition to small parts that posed a choking hazard, several of the other items pose a danger if swallowed including balloons (which can become stuck in a child’s airway), magnets (which can cause severe internal damage if a child swallows two or more), and batteries (which can cause internal burns). Another area of concern is toys that are excessively noisy and can lead to hearing loss. If your child is the victim of a serious toy-related injury in Northern California, you should contact an attorney as soon as possible. From our child injury law offices in Santa Rosa, Oakland, and San Francisco, we wish you and your loved ones have a safe and happy holiday season. We are here if you need us. We hope you don’t.